Warner Bros. and Legendary Pictures will be hosting some of the most anticipated panels at this year’s Comic-Con. The studio and production company are bringing the cast and filmmakers of The Hobbit, Man of Steel, and, of course, Pacific Rim to San Diego for a series of panels, sneak peeks and interviews. 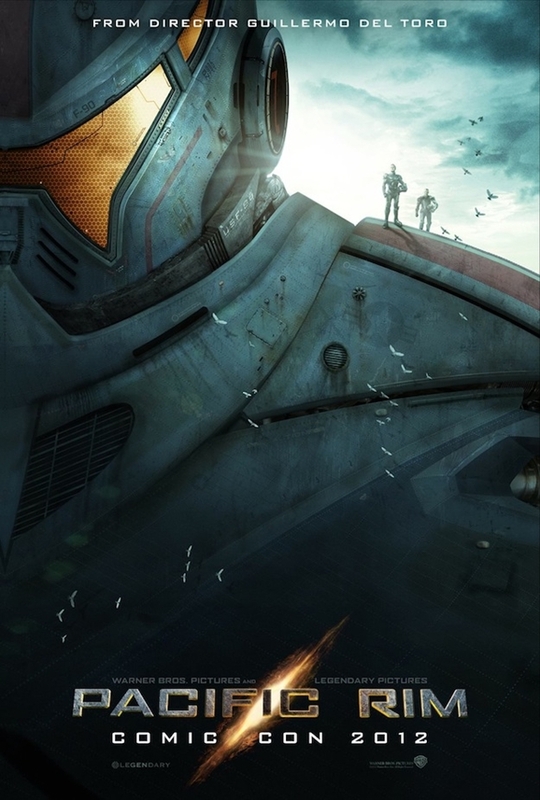 Now Warner Bros. has released the poster for the Pacific Rim panel taking place on July 14th at 2:30PM in the massive Hall H.
One of the most anticipated movies of next summer is Guillermo Del Toro’s Pacific Rim. The sci-fi story about a cross-dementional rift in the middle of the Pacific Ocean, where monsters and sea creatures spill onto Earth has been in developmental hell for quite some time. 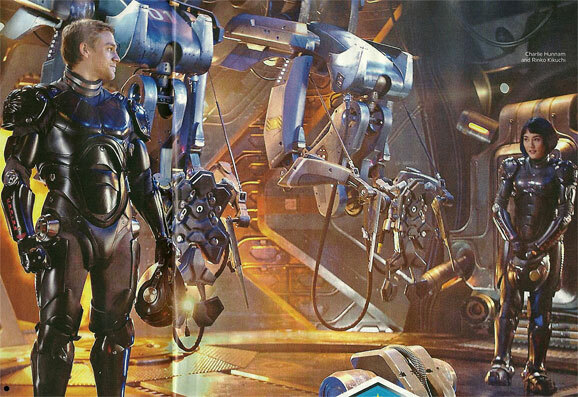 To get ready for San Diego Comic-Con in a few weeks, Entertainment Weekly has released its annual Comic-Con issue featuring exclusive images of actor Charlie Hunnam (Sons of Anarchy) and actress Rinko Kikuchi (Babel, The Brothers Bloom) from Pacific Rim. The pair are wearing amazing looking mech battle suits as they’re about to put on their helmets set in a strange robot deck. Hunnam will play Raleigh Antrobus, a washed up former pilot, who is teamed up with his trainee Mako Mori, played by Kikuchi. Together they are Earth’s last hope. If you’re not already excited for Guillermo del Toro’s Pacific Rim, there are only three words you really should hear: monsters versus robots! Most of us don’t need much more than that to lure us to a theater, but every time the Hellboy director opens his mouth he says things that can’t help but make me smile. 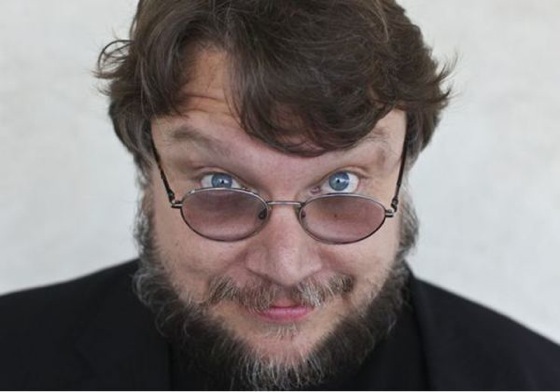 Guillermo del Toro, Idris Elba, and giant robots fighting giant monsters? Is there anything in this sentence that doesn’t get you totally pumped? Throw all of that together and you have the basis for Pacific Rim. Sci-fi fans are already tenting their fingers in anticipation over this, despite the fact that the film doesn’t invade theaters until July 12th, 2013. Aside from a logo, we haven’t seen much from Pacific Rim, until this first picture from del Toro’s massive battle for humanity. 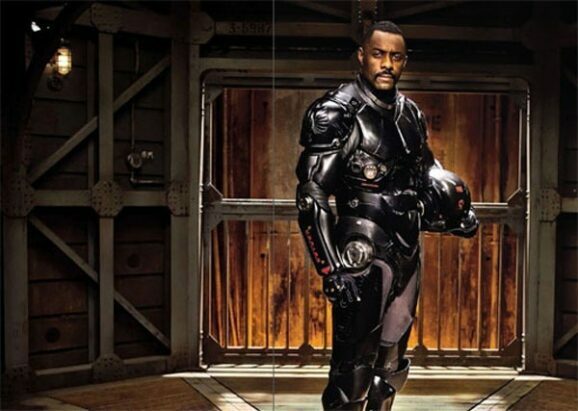 Hellboy director Guillermo del Toro’s next movie is something called Pacific Rim. That title makes it sound like some sort of boring World War II creation but in reality it’s a massive, effects heavy, sci-fi movie in the mold of the best moments from the world of Godzilla. In my head I’m imagining this as a mashup of Robot Jox and Godzilla vs. Megalon, only done with amazing special effects and a script which might, you know, be actually good. I don’t see any way this won’t be one of the must see movies of 2013 when its slated to be released.